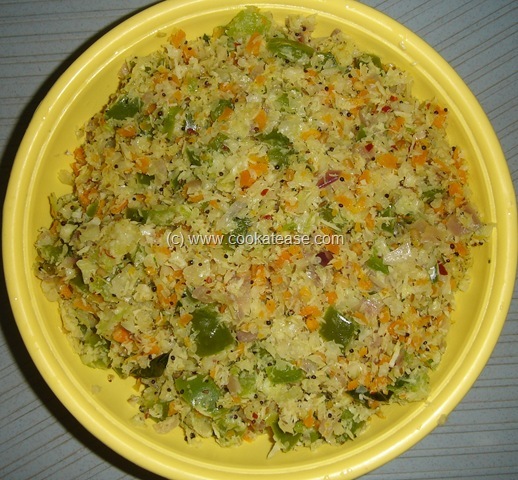 Sometimes I try out Poriyal by mixing two or three types of vegetables. Dishes prepared with mixed vegetables are healthy. Here I have prepared a tri-colour Cabbage Carrot Capsicum Poriyal with mild spices. Chop all vegetables finely; grind items given for grinding to a coarse texture like powder without water. 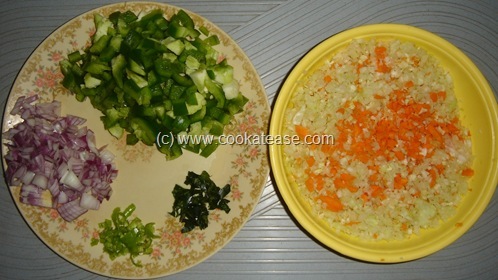 Heat a pan with oil and do the seasoning; add chopped onion, green chilies, curry leaves and fry till transparent. 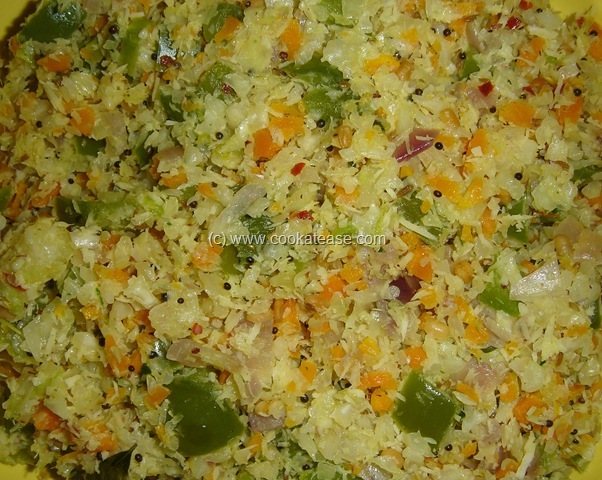 add all chopped vegetables and mix well; cover and cook for 3 to 5 minutes till vegetables are just done; add dry ground masala and cook for 2 more minutes. 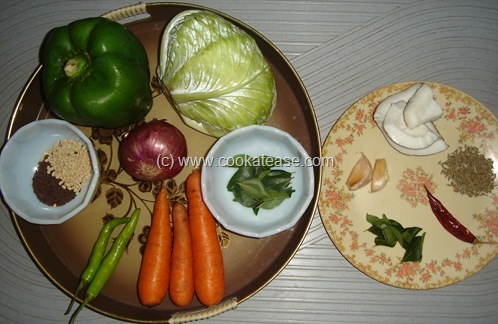 Other seasonal vegetables can also be used. Omg, my fav poriyal, i do this often..prefect with anything na, even sometimes i have this poriyal with bread..am a die hard fan of this combo..